My grandfather always loved oatmeal. He had been a Quaker Oats salesman for most of his life, and I can never remember a visit where he wouldn't show up without those dark-brown instant packets bulging from the side-pockets of his dress slacks. This scene was so regular that I remember I would literally dream about getting out of bed in the middle of the night to the sound of a slow crunch, and then walking down my steps to find him at the kitchen table eating oatmeal sometime between 3-4AM in the morning. I could never handle the look and smell of oatmeal at an early age, but as I matured to a certain point (or really braces were put on my mouth), I slowly conditioned myself to eat this family heirloom, and the memory of my grandfather will always be carried with it. My grandfather passed away in December 2011 at the strong age of 94. 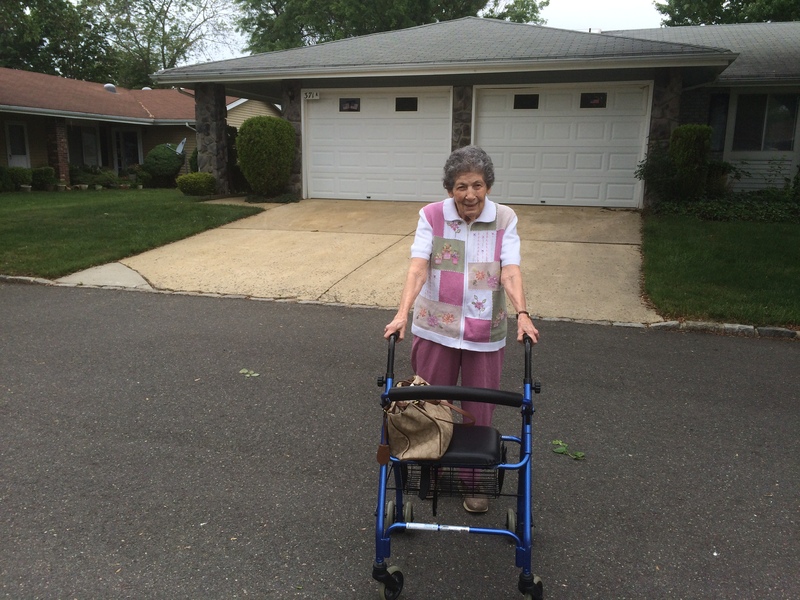 My grandmother, then 87, pushed to remain in her Monroe Township, NJ ranch and residence since the early 90s. She remained there for the next 3.5 years, visited daily by a home health aid slowly dealing with the struggles of nights alone, losing the social endurance that having a partner and a young life nourish. My mom worked to convince her it might be time for change in a more accessible community, but my grandmother is a stubborn one. I remember nights calling her at 11PM where she fell asleep at the kitchen table, attempting to catch the last glimpses of David Letterman or Jimmy Fallon, still trying to create some normalcy and routine to an otherwise mentally puzzling time period. When she would stay over, she would still be up at 7AM as she had been for my past 18-20 years, ready to make my breakfast in the same nightgown, an image that had filled me with warmth and love. Finally, after an incident or two she was convinced - it was time to leave comfort and begin again. In mid-2015 after I had finished my junior year of college, I returned home to help my mom take whatever furniture would fit into my grandmother's new apartment, and we moved her to an assisted community. It was a right step, but not an easy one - the first real admittance for my grandmother that maybe life was not totally in her control anymore, that she could relax and let others tend to the daily work that had begun to stress her out. She moved to a community in Princeton, much closer to my mom in Pennsylvania, leaving an empty house filled with the belongings of two individuals that needed to be scraped clean and sold. One year later I graduated from college. 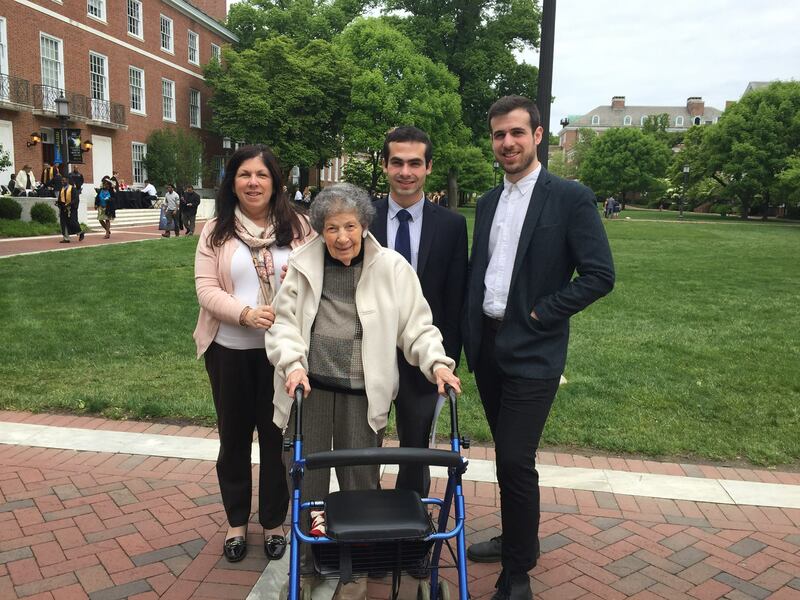 My mom, brother, aunt, uncle and then 92-year-old grandmother all attended. I will never forget the image of my grandmother with her walker standing next to me on the streets of Baltimore - I in my cap and gown, her smiling. She kept telling me how much she enjoyed her time while she was there. I'm not sure how much I enjoyed my time...the ceremony was four hours and I spent most of it adjusting my cap which felt uncomfortable, awkwardly sitting on top of my head. But life was good - I was surrounded by close friends who I had lived with, smiled with, struggled with, and learned from - and it was about to change for all of us. At least for me, when I was growing up, I always knew that my life would entail going to high school, attending a college and (hopefully) graduating. There was always this "and then what" stage after that, concealed in the background but never brought to the forefront of my mind until this "then what" stage was only two years down the road. I applied for internships, was mostly unsuccessful, tallied my mistakes and tried again. Finally, I was able to work in New York after my junior year and turned my summer position into a full-time post-college role. Life was temporarily figured out, and this opaque period after graduation suddenly gained transparency. But, as I stood in my once-college apartment about two months after my graduation, with my college IKEA furniture in pieces across the floor ready to move-out the following day, I was hit by a flood of confusion over my choices. I can't say this is a unique feeling, being one of hundreds of thousands of post-college students unsure about the decisions they had made. But still, with my careful prescience towards my future I was surprised to have felt so much doubt. I took my belongings to my childhood home the next week, and placed them in our garage with a few bedsheets on top to keep out dust. That week looked much like the rest of the summer had been, waking up sometime between 10AM-12PM in a daze with my laptop on top of me. Some episode of "Arrested Development" had finished, though I had only watched about five minutes of it the night before and then drifted to sleep. There was a few high school friends home that I caught up with, and I also visited my grandmother after a year in her new home. Towards the end of the week, my mother and I had to return to my grandmother's old house and continue the cleaning work. It was July, and our goal to sell the house by September lingered in the back of our minds. I hadn't been there in over a year and to the best of my knowledge only the garage had been cleaned. Ironically, we only stayed for about an hour as we couldn't handle being there too much time - the house left in the same state as it had been one year earlier. We took inventory of when we could come back and clean a few weeks later, I stole some pots and pans for my new apartment in the city. For having no current residents, the house still contained so much history, of decisions made and memories spent that we would begin to reconnect with during the following month. My grandmother and grandfather were both born to Jewish immigrants in the mid-war period of the 20th century. My grandfather's dad owned a butcher shop in Newark, New Jersey. He attended school and then was drafted into the army to serve in WW2. During the war, he never engaged in combat but had one close encounter during what would later be known as the Battle of the Bulge. When I was little, he told me how his unit was instructed to climb trees in the snow and hide because Hitler's army had surrounded them. At the last minute, General Patton's troops arrived and rescued, I suppose, me. As I cleaned out my grandparent's garage last summer I found traces of my grandfather's post-war time. Letters he had written home, combined with photo albums full of pictures of his army boys, women he and his buddies "charmed". Allegedly he went to college in this period, but we had never found any traces of a degree throughout his life. Something to note about my grandfather was that when you walked into a room with him, he always wanted to be the center of attention. He was social almost like a politician, drawing attention on himself, but also remembering who his audience was. He would listen to your own stories, and if you didn't hear from him for years and then received a phone call, he would open by asking how you were and relate back to anything you might have told him. 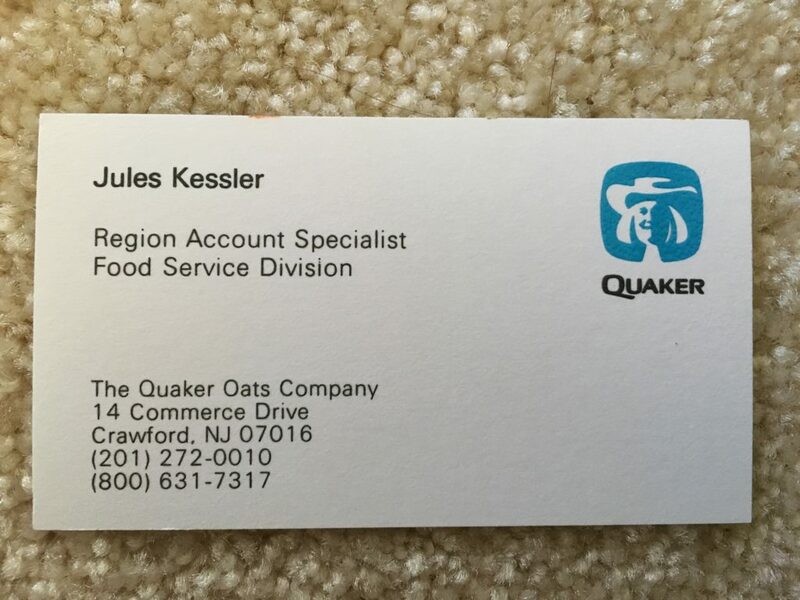 These tactics were greatly appreciated during his career - as a regional salesman for Quaker Oats. He always kept great relationships with his customers, and as I dug through his closest I would find personal notes, holiday cards and other various messages from his clientele. I also found plenty of Quaker Oats T-shirts, freebies, and things he had collected throughout his life. Most of this was the grandfather I experienced. The grandfather I knew came after he retired, still with the same charm, but different tactics. When I was little, he would pickup McDonald's pancakes before coming to see me, take free toys from giveaways and wake me up with these presents, play catch with me on the front lawn. I saw the peaceful side of my grandfather without the stress of life and the future. My grandmother's background was not as known to me. Her mother died when she was at a young age, thus she developed a strength to carry forward and endure, something that was passed to my mom. She married early on and had my uncle, before remarrying my grandfather and later having my mom. Unlike my grandfather, my grandmother was quieter, but I always knew how much she cared about us. Sleepovers at my grandparents' house were always looked forward to as she would play shuffleboard with my brother and I, let us wander around her bridge table in the evening - a game she attempted to explain to us multiple times and I never understood - and then tuck us into her pull-out sofa bed at night. This past week when my mom, brother and I were cleaning out my grandfather's desk we found remnants of this period. Cards that we had sent him and my grandmother, provided with cheesy gifts that were sold at our elementary school fair for an allowance wage of $5 or less. Letters from the Monroe Township government congratulating my grandfather on reaching 90 years-old. We even found a whole file-folder full of newspaper clippings with his name on it. I'm not lying - this is my grandfather at best - every time he saw the name "Julius Kessler" in the newspaper, regardless of whether he was the subject at hand (though he would have told us he always was), he would cut the lettering and collect them in a file folder. We also found photo albums full of my mom growing up, my brother and I when born, and the time that I had known them afterwards. There were so many things that they had accumulated, and we were constantly torn on what to keep as a tangible memory, dispose of, or find practical use. My brother and I, as millennials, were akin to simply taking pictures with our phones and storing them in some clouded space for future use. I kept asking myself...does everyone have this much stuff, and does it all just go to waste in the long run? When I moved out of Baltimore, I knew that this process - renting a U-Haul, picking up the furniture, moving the furniture, and somehow putting it back together - would become a normal process throughout my 20s. Since I was and still am in the process of figuring out a long term goal for my life, I'm apprehensive about keeping anything and have reduced my belongings to the bare minimum. I have all the basic furniture, clothes, a few books that I'm unable to part with. Most of my life "memorabilia" has been collected through photos on my phone, Facebook accounts, and other various social media forms I've slowly become addicted to over the past 10 years. It's nice to not necessarily have so much physical "stuff" as my grandparents, and I most likely never will. But, I do wonder, how will these memories be passed on to any future generations, where will it be contained, how will it be transferred...will there be anyone in the future who wants to look, replaying the same scene as myself in my grandparents' house down the road? As an engineer, I think about the human memory lot. Our capacity to capture scenes in time and utilize them for future decisions is a baffling and extraordinary concept. Unfortunately the detrimental effects of aging or emotional and physical tear are equally as baffling. 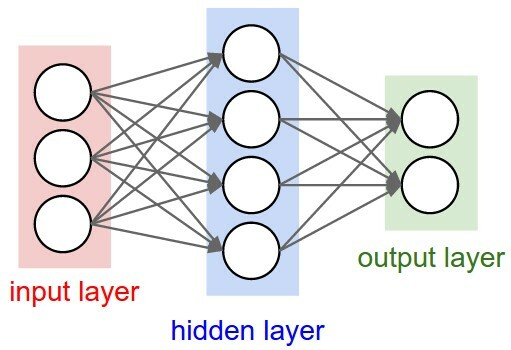 There's a simple model we attempt to utilize in Computer Science, and this model has been applied to try and replicate how the human memory contains information to make new decisions, and it's called a neural network model. The idea is simple, though the practical usage can be convoluted. Essentially, we start with information that represents certain types of data, and we continuously train the model based upon all the previous data we have to make a new decision. The picture below describes a simple neural network, and you can think of it as each of the dots in the left-hand line represent the information we feed in, and the two dots on the right hand side represent a decision that can be made in two ways. Towards the human analogy, you can think of it as we take our memories and their outcomes and feed these into the right and left hand side of this network. The middle nodes hold other types of information that will be trained based upon this previous information. If trained correctly, when we come to a new decision that we want to invoke our previous memories to use, the middle nodes will help to make the correct decision, and choose one of the two correct output nodes. Our brain works on a much larger scale, with many more nodes and connections that we cannot describe, and unlike a machine, our brain experiences wear and tear as we evolve that cannot be easily captured. I moved into Jersey City two weeks ago bringing myself and some memories, as well as my light belongings. There's only so much you can fit in a one-bedroom apartment that's been turned into a two bedroom. Most nights leading up to the start of work have been filled with reading, relaxing, meeting friends in the city for dinner, and gathering up those last bits of my student life before transitioning into being an adult. My grandmother called me recently telling me how much she was grateful about taking the time to clean her house throughout the summer, apologizing for not being able to do it on her own. I'm not sure if she actually knows what state it's in, and it might have truly been my mother on the other end reminding her that the house still existed, and still needed to be sold, but I believe she does care. There's an amalgam of biological explanations to why aging damages our neurons, making us lose sight of our memories and creating an inability to cope with our future decisions. It might involve degradation of proteins, or damage to protective coverings around our neurons that allow them to fire faster. The system slowly goes down, but from my grandmother what I've noticed is that personality still remains. The goals are still there. It's almost like we removed everything in our neural network model except for our ending nodes; our want to make future decisions exists without the material to learn from our past. At 22, I feel the opposite way about my brain. I’m still learning, growing and retaining information from the world around me. Yet, the consequences of my decisions remain unclear...despite what I throw at my brain. I have yet to completely comprehend how my choices will pave the way for future happiness, struggle or success. I wondered as I went through my grandparents' belongings, looking at their past, two people who had lived and made these decisions, what did they think when they were 22? 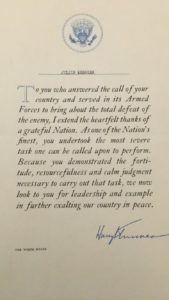 For my grandfather, the war had just started, but it would be years before the draft would occur. My grandmother was about to have her first son. These two people who were about to face so much reality at my age; I don't think they knew what they would be in for, what life was about to bring ahead of them. It's ironic how my grandmother and I, myself at the beginning of my adult life, her at the other end, are faced with the same type of uncertainty about our future, yet the cause is so different. Her uncertainty is immediate in the day-to-day, yet mine for the long-term. I wish I could tap her 22-year-old self and learn how she felt, whether now after it all, she would have made the same decisions if she could relive that time. But as my memory retains that initial part of learning, her head picks-up where mine leaves off- 70 years apart, 1924 to 1994, and both of us could learn so much from each other. Though, to be honest, here sitting at my desk in my living room convert, a glass of wine next to me - the cheapest I could buy at the store that had a cork (ironically rubber) - I feel as I've lived an appropriate start to my post-college life. Without dealing with uncertainty, people would not learn to cope with challenge ahead of us. We breathe and live in a world and constantly learn from it, we make life decisions, and then pass these memories on to future generations with the hope that they will not learn simply from us but truly from their own experiences. It's not without training and endurance that we mature into our adult lives, that we learn to love and pass this love and knowledge on. 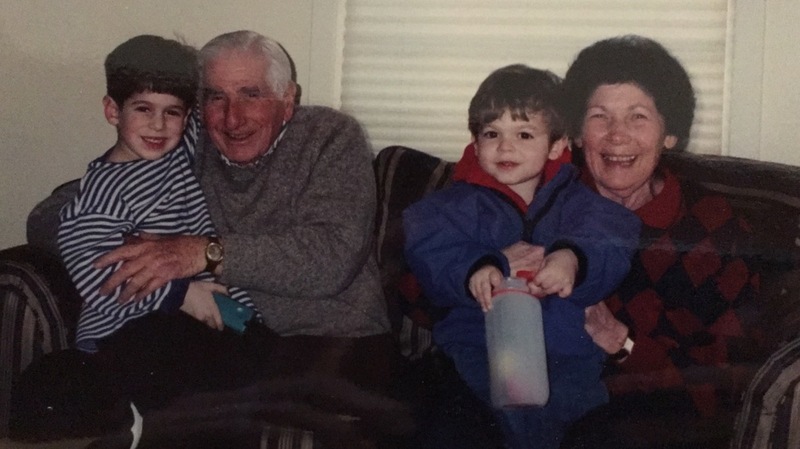 I know why my brother and I always made my grandparents the happiest they had been - we were the living and breathing emblem that they had made the correct decisions in their lives, and that their lives and memories, all they had worked for, were going to continue onto the world through us. I find this same love flowing even stronger through my mom, and it's only through myself that I can find this true happiness in the future. On Monday I start work. Two weeks of training in DC followed by who knows what. I have this internal tear as a new consultant, that as soon as I can get a new city and a new life, I'm flying away from it and most likely will be flying away from it my whole consulting career. I remember telling my mom last week, as she nagged me to always remember to tell her my flights etc, that I'd only hope to always let her know where I am. I was being hard, the normal attitude young adults profuse where the self is only directed at "I" not "we", even though "we" is your mother who has cared for you over the past 22 years. I know she loved me, that I was being hard, that I would probably get over it as soon as I arrived in DC and became accustomed to my new working life. Even today, remembering how she smiled at me when I left the car to return to the city, it showed that love. The love that her parents instilled in her, and she gave to me. Love is an amazing feeling to pass on, and to warm the people around us. Dan: Thank you, I so much enjoyed reading this blog because it reminded me very much of what I wrote about at your age. In my case it was not online but in a notebook. But there were very similar concerns, doubts and hopes. Keep writing because you're a very sensitive young man and you're very good at it. Love from Uncle Peter. That was absolutely amazing. You have a lot of wisdom for a 22yo. Best of luck with the new job, and consider writing on the side, because you sure can tell a beautiful story. Couldn't be happier about how this turned out-so human, so sincere, so Dan. You've made me proud, again. There isn't an Adler I've come into contact with that hasn't demonstrated what it means to be a good person. You and your brother are two of the smartest, wisest and most hard-working people that I've met. Regardless of what choices you make here on out, they'll be the right ones. Take comfort in that. All the best. Thank you Mr. Barth! I hope you're doing well. As good as it was the first time I read it !